The Kinergy Eco (K425) provides excellent fuel efficiency for a more environmentally friendly driving experience. 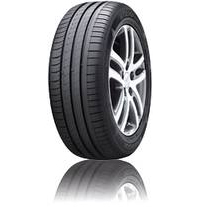 Designed with a specialist tread pattern which features wide straight three channelled grooves, this tyre works to rapidly evacuate water for superb aquaplaning resistance. This results in safety in wet conditions and the Kinergy Eco (K425) was awarded an 'A' in some sizes for 'Wet Grip' by the EU Tyre Label. In addition, lateral shoulder grooves work to enhance handling for a smooth and comfortable drive.